Welcome to Portland Learning Center! Smiles and learning are a big part of our day at Portland Learning Center! Portland Learning Center is an amazing and educational Child Development Center conveniently located in beautiful Portland Tennesee! We provide developmentally and age appropriate activities to help your child grow emotionally, socially, intellectually and physically. Our amazing classrooms provide a positive learning atmosphere including a wide variety of fun and exciting learning experiences such as music, movement, literacy, values, science and art. 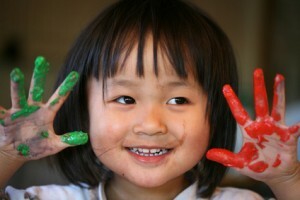 Portland Learning Center helps your child develop a broad educational foundation. We help them build self confidence and develop a love and excitement for learning.We do this by using positive reinforcement, motivation, and individualized teaching. 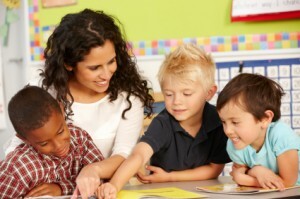 Our programs are designed to help children grow academically and socially. 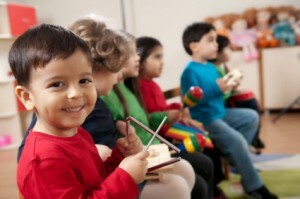 Your child will love Portland Learning Center! Portland Learning Center serves children from the ages of 6 weeks to 5 years of age. Our Open Door Policy encourages parents to drop in unannounced, at any time to observe or visit with your child. We also believe regular contact and exchange of information between parent and child care provider is an important aspect in your child’s growth. We provide regular updated reports on your child’s progress and day, so we can work together to ensure your child’s daycare experience is a positive one. Please share your questions and comments with us as they arise. Open communication is absolutely crucial to your child’s success at school! We have a fun curriculum to help your child smile, learn and grow! Portland Learning Center After careful research, the staff has determined High Reach Learning offers the best preschool curriculum available. It has repeatedly won top awards of the NAEYC and other child advocate groups. This curriculum, with materials for each student, is purchased each month. We also have a wide variety of additional resources available to all staff members. Portland Learning Center is privately owned and is not affiliated with any church or denomination. However, we have a strong belief that children should be taught in an atmosphere where Christian values are stressed on a daily basis. The children say grace before meals, sing Bible-based songs, and Bible stories are read to them. We celebrate Christian holidays, such as Christmas and Easter. Patriotism is encouraged by the reciting of the Pledge of Allegiance and the celebration of national holidays such as the Fourth of July. At Portland Learning Center, we take pride in our day care programs, by hiring the right teachers, and providing wonderful, nurturing care for your child. Our goal is to always support you with your child’s educational and emotional well-being in an environment they truly enjoy! Where a Child’s Love of Learning Begins! Contact Us or call to schedule your tour at (615) 325-6058 today! Copyright 2019 Portland Learning CenterAll Rights Reserved.